I live and create in a small town in the south of Slovakia. Since childhood I liked art. First I just admired it. Later I drew, then painted. But a few years ago I discovered printmaking. Since then printmaking become my great passion. My favourite printmaking technique is linocut. You can find inspiration for your art every where. I find it very often in my family or among my friends or, for example, trees in our garden. They are the inspiration of my reduction multi- layer or black and white prints. Without artistic education, without a teacher, total self-taught. 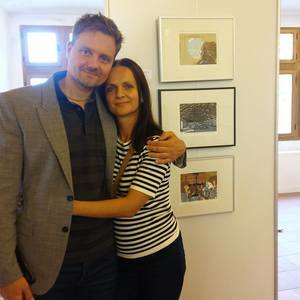 Several awards in competitions and exhibitions of non-professional artists in Slovakia.